Water is one of the most important natural resources our planet provides. If Earth is about 71% water....then why are we caught short? So much to ponder on Day 3-Water! Where on Earth is the water? A Drop in the Bucket activity demonstrates the importance and availability of useable fresh water on Earth. How do plants use water? Efficient water transport-is it necessary? 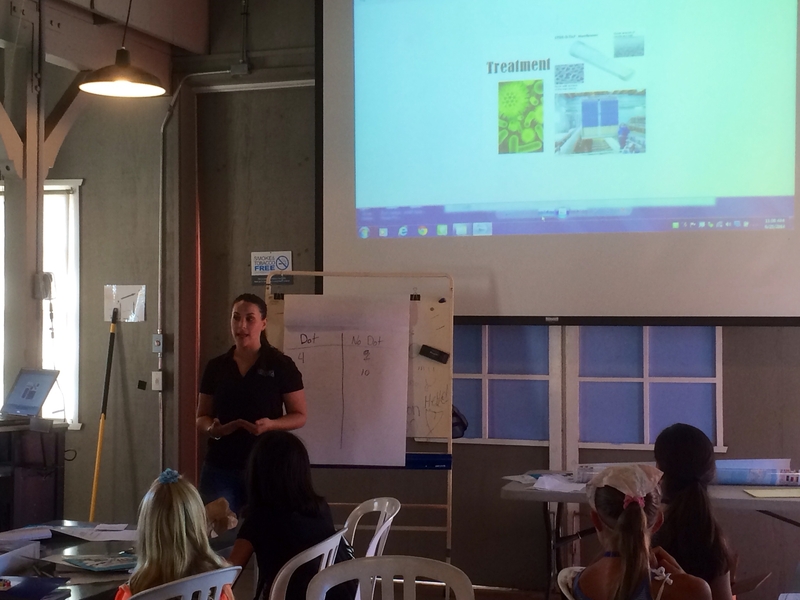 What is a water treatment system? How can we conserve water? 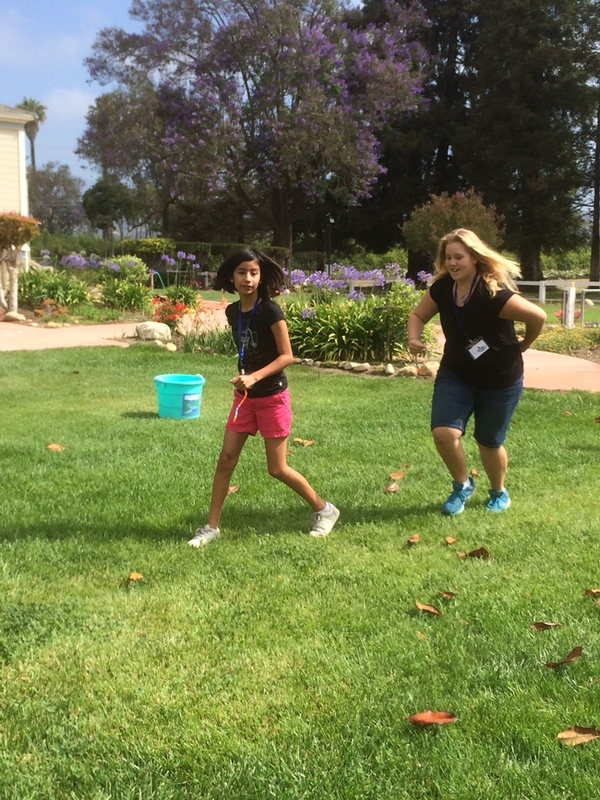 Campers pretend to be a drop of water. Incredible Journey activity reinforces the water cycle and illustrates the unpredictable journey of each drop. 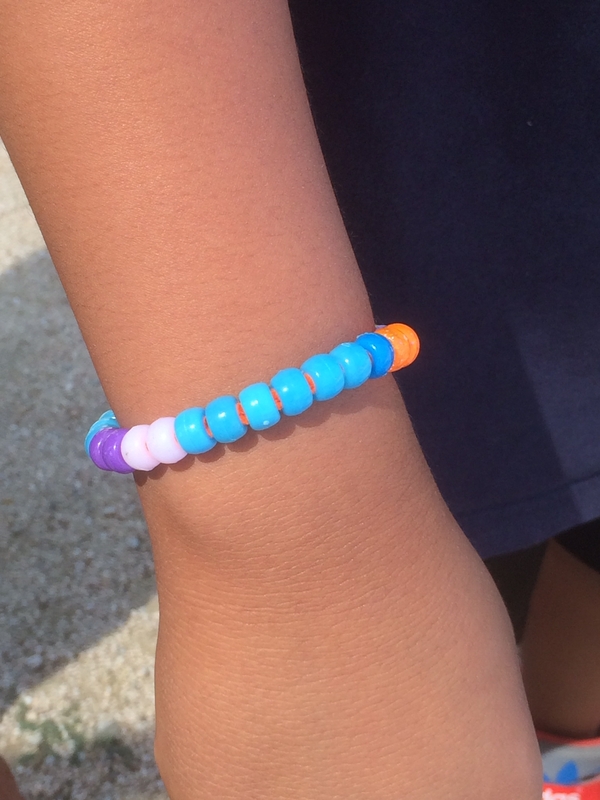 Colorful beads represent locations where water is prevalent such as the ocean. How do plants use water? 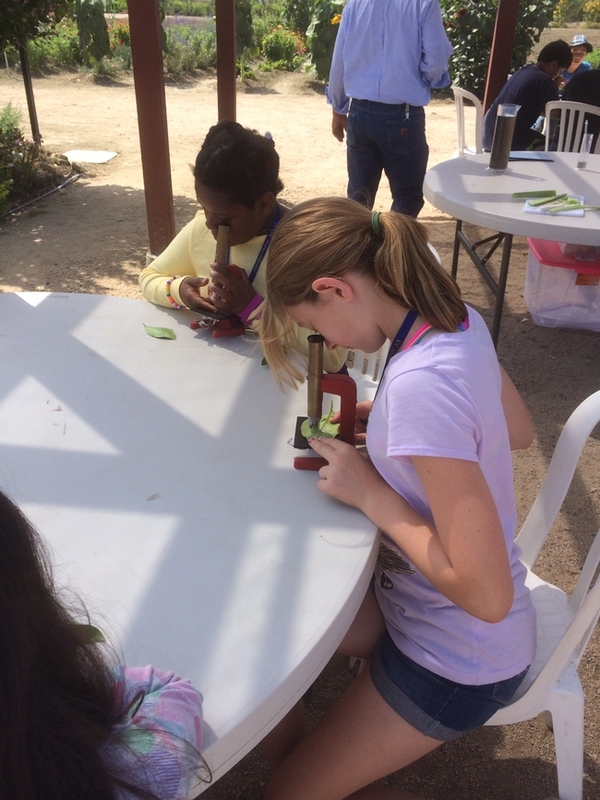 Microscopes help camper observe the xylem in celery and stomata in citrus leaves. Guest speaker, Jen Petersen, from the City of Ventura discusses how water is treated and transported. 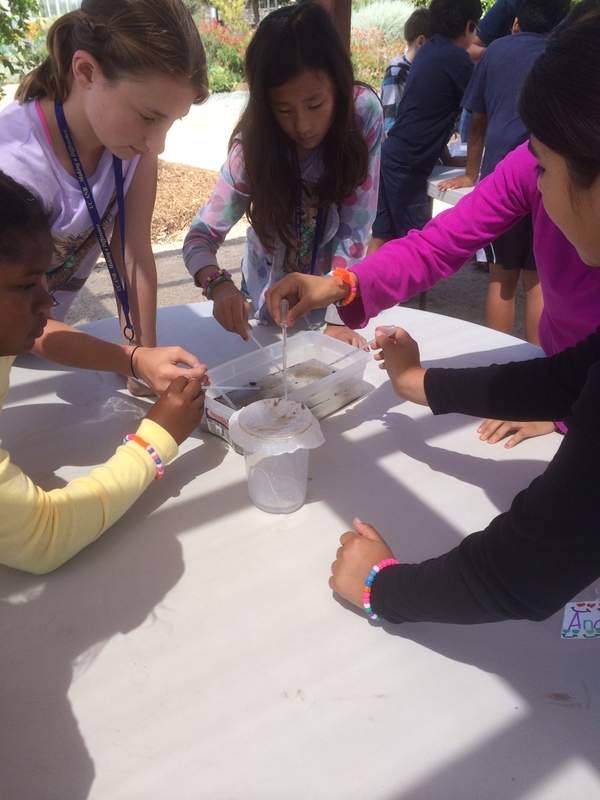 Activity teaches how filtration systems help clean our water. 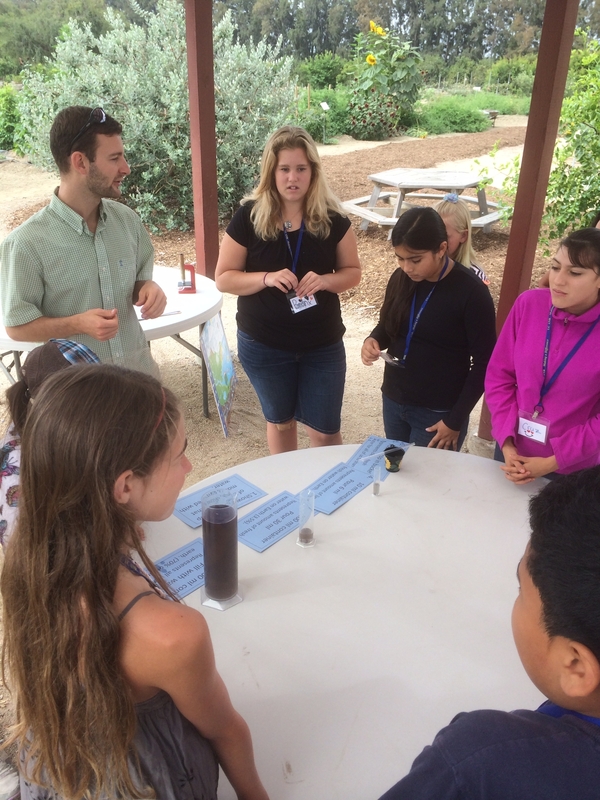 Activity illustrates how faulty pipes and transport systems waste precious water. 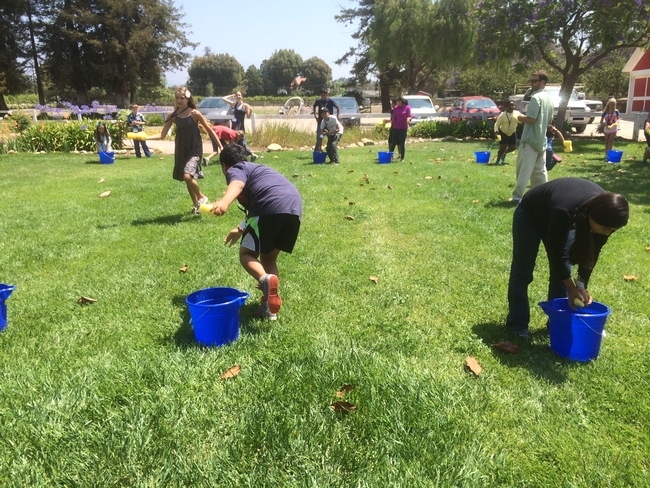 Campers "transport" water using simple buckets and sponges creating awareness of this concept.